Basel (Switzerland) – October 31, 2018 (travelindex.com) – Baselworld presented its hotel partner programme today. A total of 40 hotels became partners of the world watch and jewellery show: 26 of the participating hotels are “Official Partners” and 14 of them are “Preferred Partners”. The participating hotels provide approximately two thirds of the hotel capacity in Basel and its surrounding area. “Baselworld and the majority of Basel’s hotels have achieved a significant milestone that sustainably reduces lodging costs for the show’s exhibitors and visitors, while simultaneously establishing transparent conditions”, says Michel Loris-Melikoff. 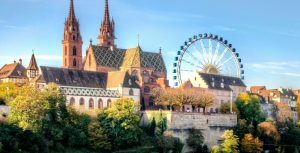 Book your hotel in Basel, Switzerland and around the world in 55 countries at best rates available. Pay at the hotel. Book now at HotelWorlds.com!